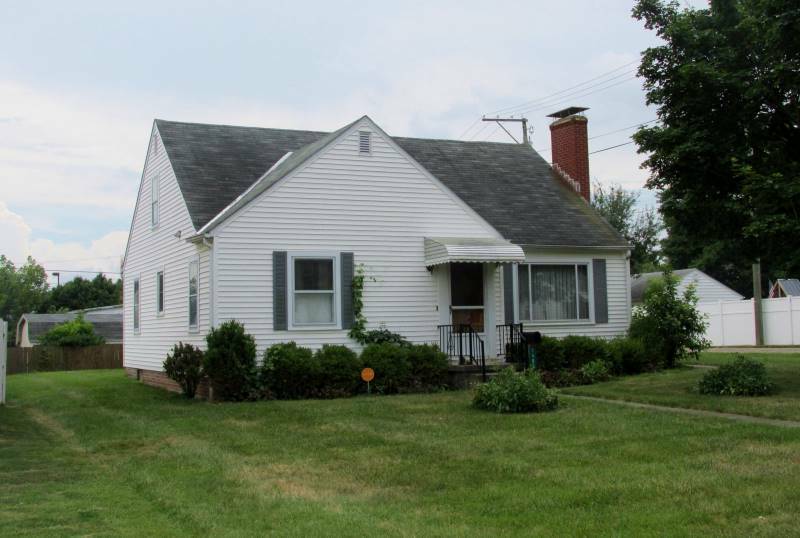 3 BR 2 BA double wide home with over 1100 square feet, situated on a corner lot and close to Rt 33. Great investment opportunity. RESERVE IS ONLY $28,000.00! TERMS: $1,000.00 DEPOSIT (non-refundable Cashier’s Check) due day of sale & balance due at closing within 30 days. Property sold “AS IS” in all respects. 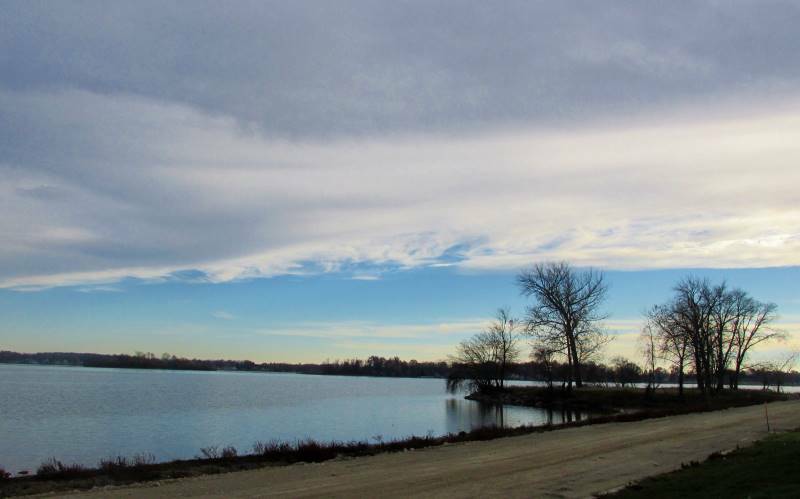 Beautiful 1.5 acre parcel w/fantastic views. Currently has a double wide mobile home sitting on a permanent foundation. Home needs work or can be removed and have your own home built on the foundation. TERMS: $2500 Deposit (non-refundable Cashier’s Check) due day of sale & balance due at closing within 30 days. Property sold AS IS in all respects. 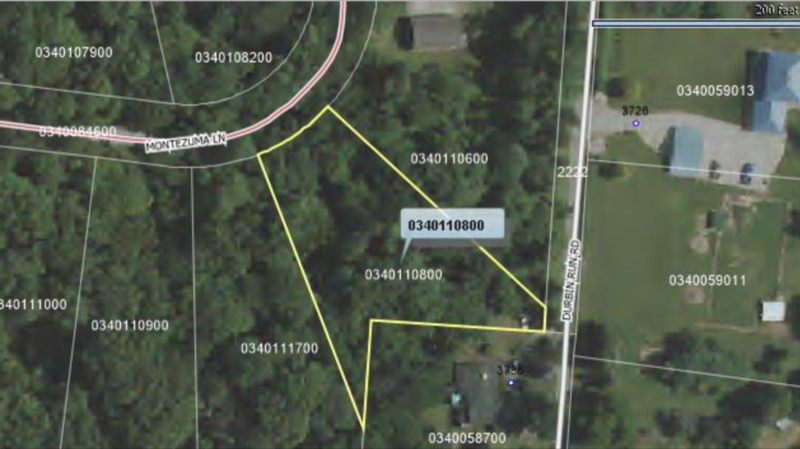 2 wooded lots will be sold together, totaling 1.7 acres. Located in the gated community of Hide-a-way Hills. Very convenient to the back gate. Parcel #’s 0340111700 & 0340110800. Cashier’s Check) due day of sale & balance due at closing within 30 days. Property sold AS IS in all respects. 46.9 acres of tillable farm ground. Located in Madison Twp., Mt Sterling, OH. Parcel #10000200000507. Approx. 300 ft. of road frontage. TERMS: $5000 DEPOSIT (non-refundable Cashier’s Check) due day of sale & balance due at closing within 30 days. Property sold AS IS in all respects with a reserve. OFFERS ARE WELCOME PRIOR TO AUCTION. 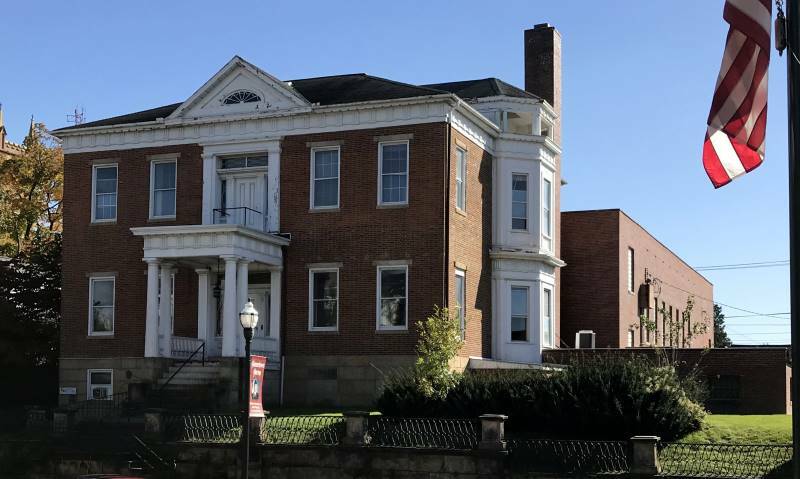 This grand, Federal style home, retaining much of it’s originality, was built in the 1840’s by Daniel Sifford, Sr. as a private residence for his family. Sifford also built several other homes in the area, including the Georgian & the Reese Peters estate. There have only been 5 owners since it was built and it was used as a cigar factory from 1893-1898. It then became the home of the American Legion in 1932. 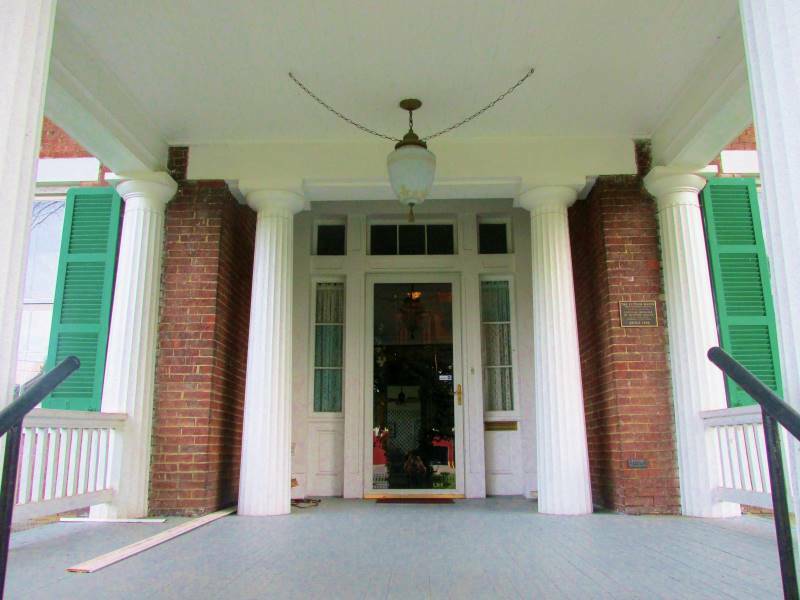 This is a rare opportunity to own a beautiful piece of Fairfield County’s history. 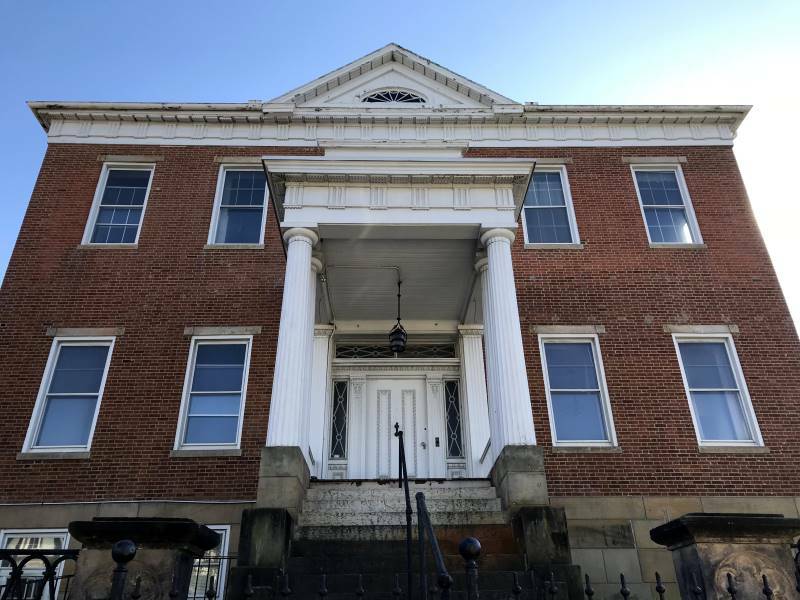 The current owner’s preliminary architectural plans will be included with the sale. Home & addition offers over 24,000 sq. ft. TERMS: $5,000 DEPOSIT (non-refundable Cashier’s Check) due day of sale & balance due at closing within 30 days. Property sold “AS IS” in all respects. Offers are welcome prior to auction. Early 2 BR/1 BA 1 ½ story Cape Cod style home w/1083 sq. ft. Lg. open rooms, corner lot. 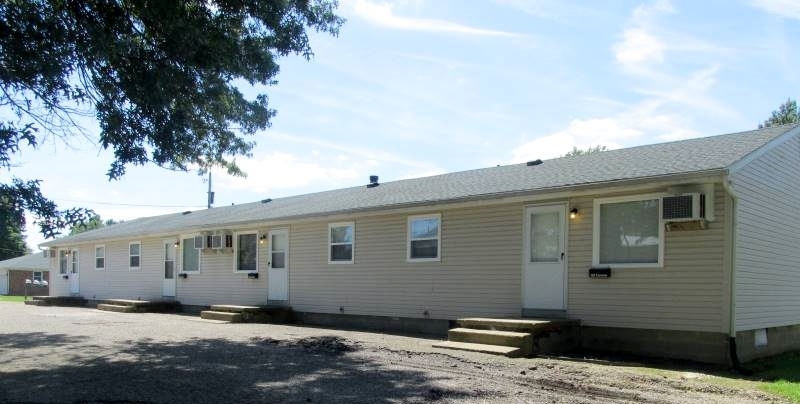 Single wide mobile home situated on the parcel is included in the sale (mobile home has its own address). Reserve is only $25,000.00! TERMS: $25OO DEPOSIT (non-refundable Cashier’s Check) due day of sale & balance due at closing within 30 days. Property sold “AS IS” in all respects. 3 BR/2 BA Cape Cod style home with 1740 sq. ft. Lg. family room with fireplace. Updated shingles, furnace & bath. Whole house generator. Additional parcel included (0100221500). Reserve is only $49,000.00! 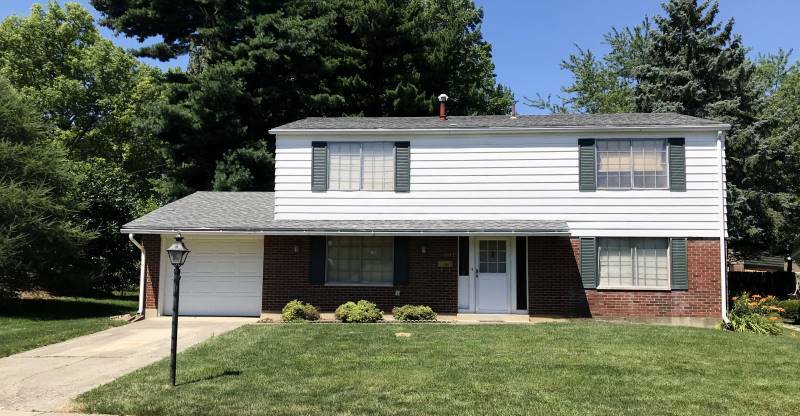 4 BR/2.5 BA two story home in the village of Reynoldsburg with over 2,000 sq. ft. One car attached garage. Covered back patio. Located in a cul-de-sac. Lots of potential. Reserve is only $95,000.00! TERMS: $5000 DEPOSIT (non-refundable Cashier’s Check) due day of sale & balance due at closing within 30 days. Property sold “AS IS” in all respects. 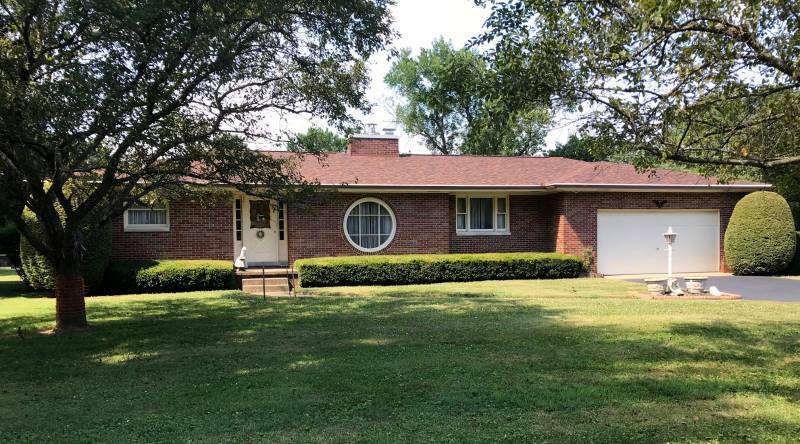 3 BR/2 BA all brick ranch style home with over 1300 sq. ft. Fireplaces on both main & lower levels. First floor laundry. Covered back patio. Two car attached garage. Large fenced back yard w/storage shed. Convenient to 33 Bypass. Reserve is under tax card value! TERMS: $5000 DEPOSIT (non-refundable Cashier’s Check) due day of sale & balance due at closing within 30 days. Property sold “AS IS” in all respects. Absolute Auction! No reserve! Sells to the highest bidder! TERMS: $2500 DEPOSIT (non-refundable Cashier’s Check) due day of sale & balance due at closing within 30 days. Property sold “AS IS” in all respects. Fantastic investment opportunity! 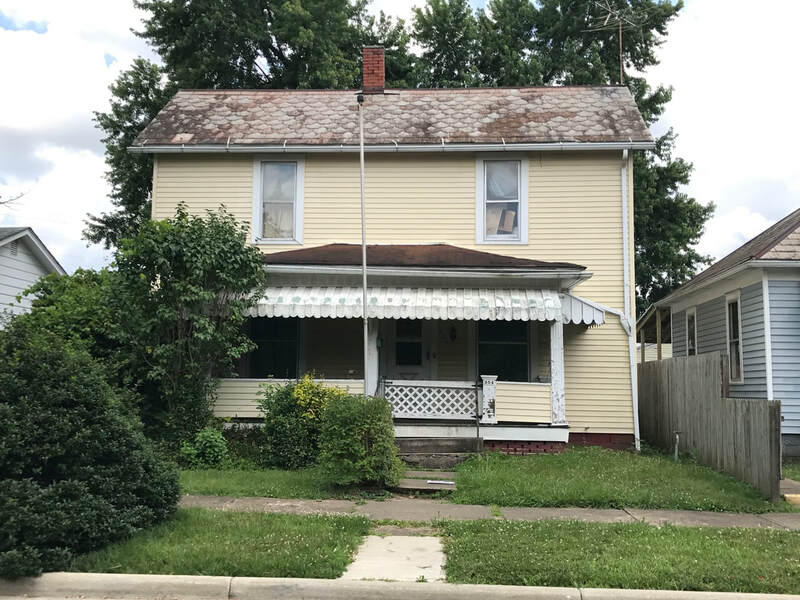 2 BR/1 BA home w/over 700 sq. ft. Hardwood flooring. Full basement. Corner lot. A very nice brick Cape Cod style home offering 2 possibly 3 BR/1 BA & 1100 sq. ft. Freshly painted. Beautiful flooring throughout. Updated furnace & AC. One car detached garage. Fenced yard with patio area. 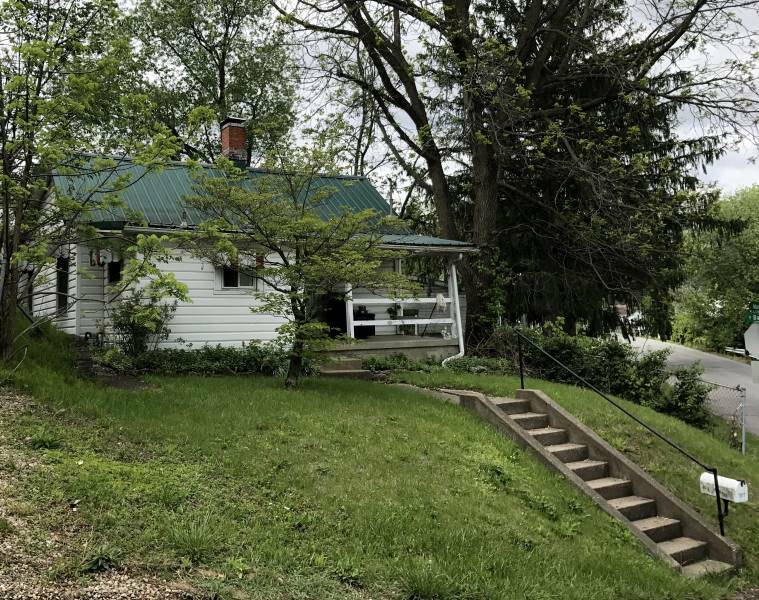 Many possibilities with this property! 5.97 acres on Wheeling Rd. 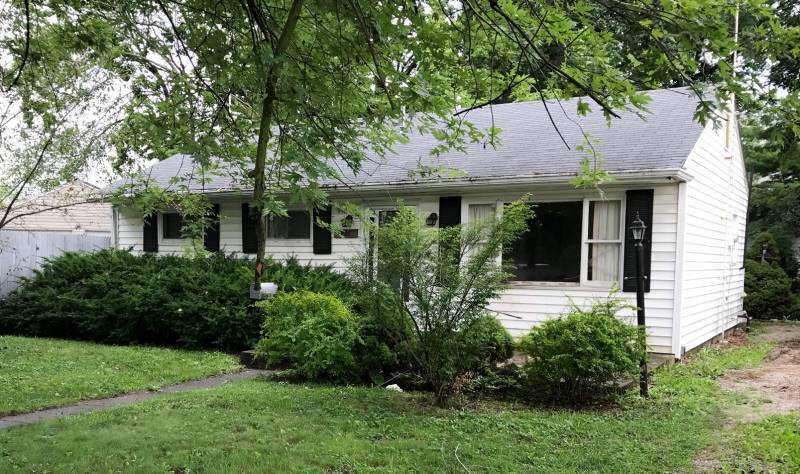 Can be used as a new building site, possible sub-divide or rehab the current home – 3BR/1BA home. 3 BR/1.5 BA two story home with over 1600 sq. 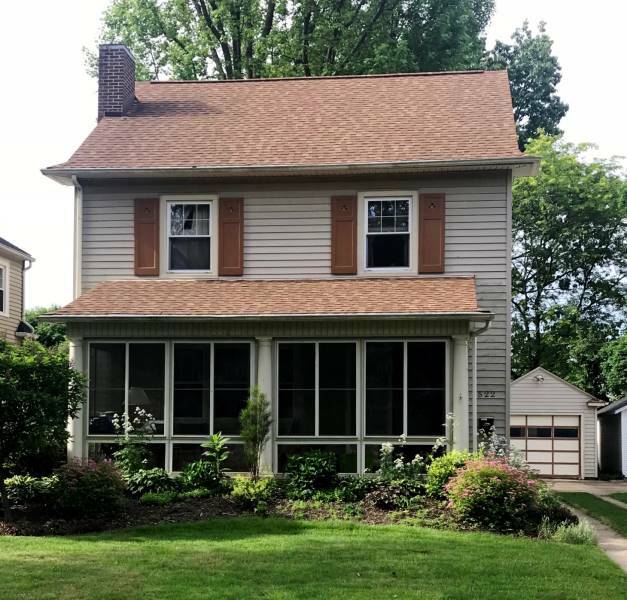 ft. Offering hardwood floors, large living room with gas log fireplace, kitchen w/dinette, formal DR, finished third floor bonus room, enclosed 3 season front porch, deck, one car detached garage & sm. storage shed. Parcel #0533134800. RESERVE IS ONLY $110,000.00. Fantastic building lot! 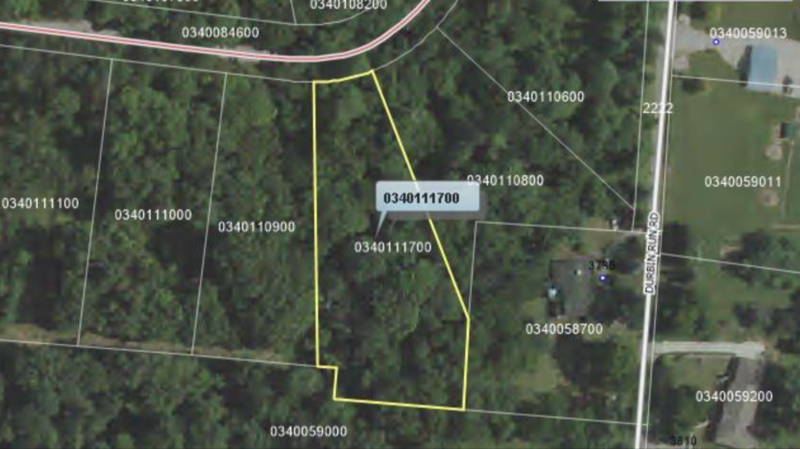 8.48 acres, partially wooded. Conveniently located to Pickerington, Baltimore & Lancaster. ​& balance due at closing within 30 days. Property sold “AS IS” in all respects. 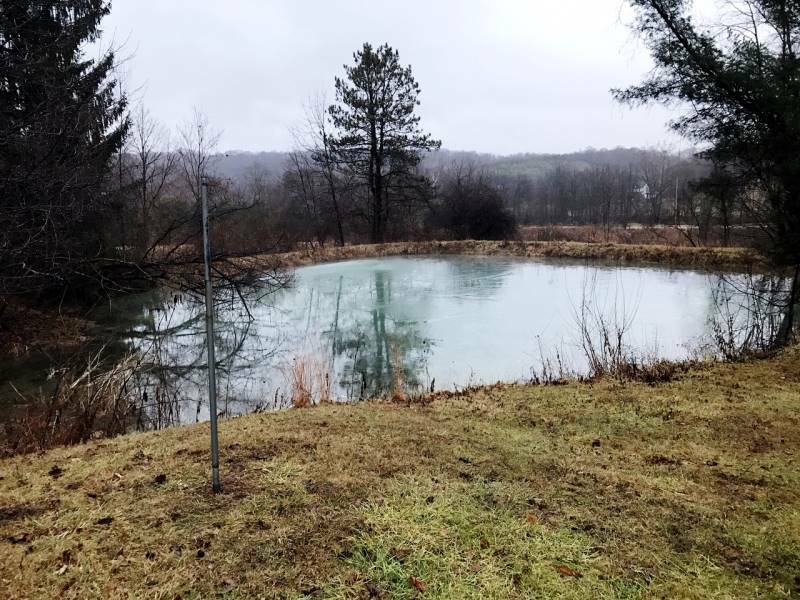 Over 84 acres of land including tillable, pasture, woodlands & small pond. 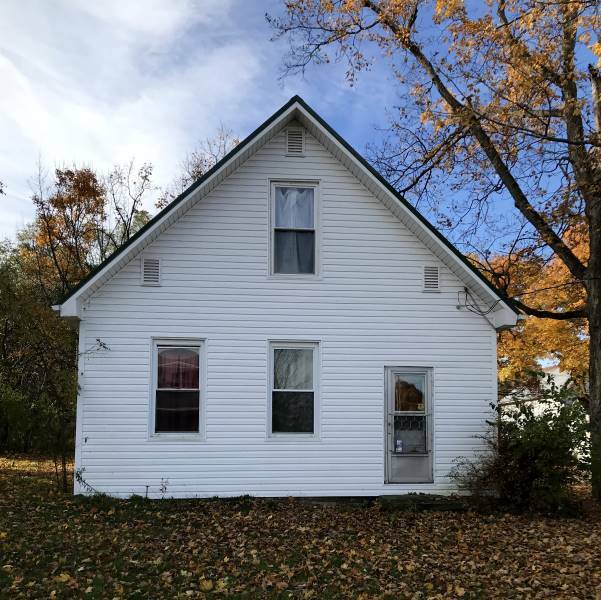 3 BR/1 BA two story farm house with approx. 1800 sq. 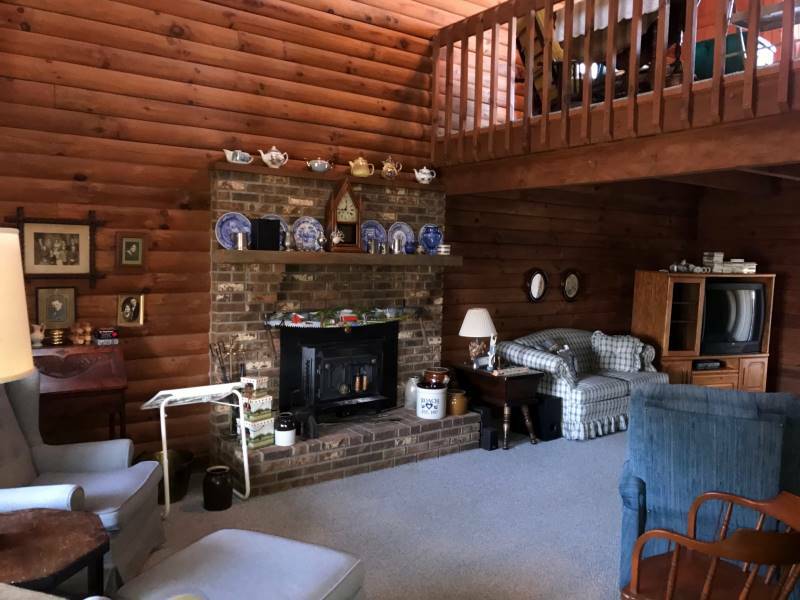 ft. offering large family room w/wood burning stove, central air, newer shingles. 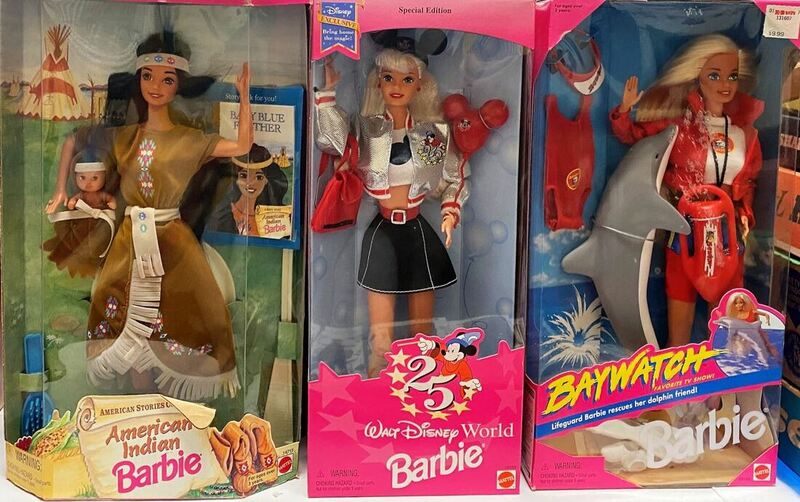 Includes a lg. barn & other outbuildings. Reserve is under $300,000.00! Recently surveyed. 2 parcels included: 120003320000 & 120003310000. TERMS: $5000 DEPOSIT (non-refundable Cashier’s Check) due day of sale & balance due at closing within 30 days. Property sold “AS IS” in all respects w/a reserve. 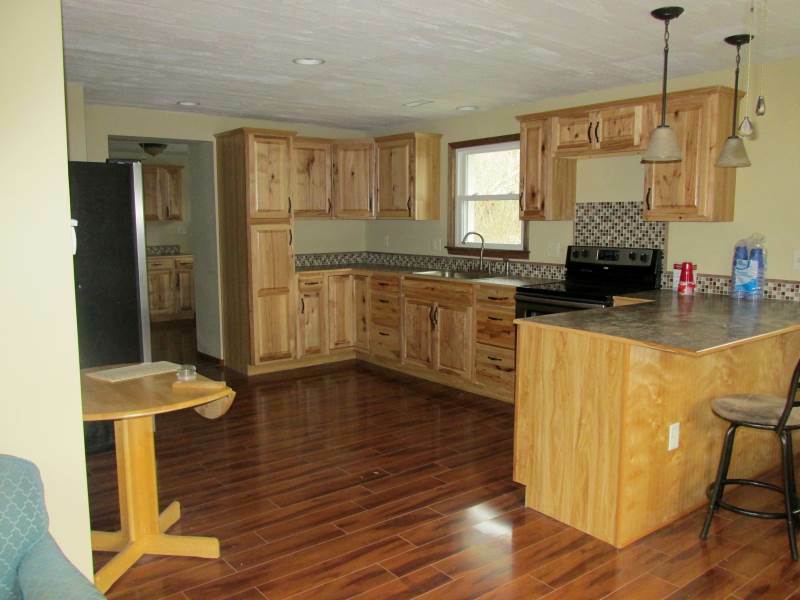 Beautiful custom built 2 BR (easily could be 3 BR), 3 BA ranch home with over 2550 sq. 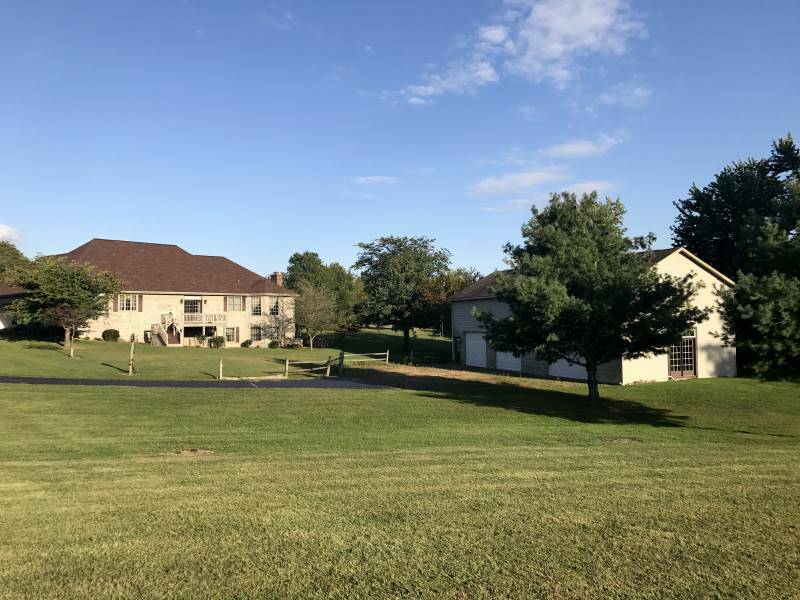 ft. situated on 3.9 picturesque acres just outside of Mt Vernon, OH. This thoughtfully designed home includes a very large kitchen with dining area, walk out bay windows and walk in pantry. 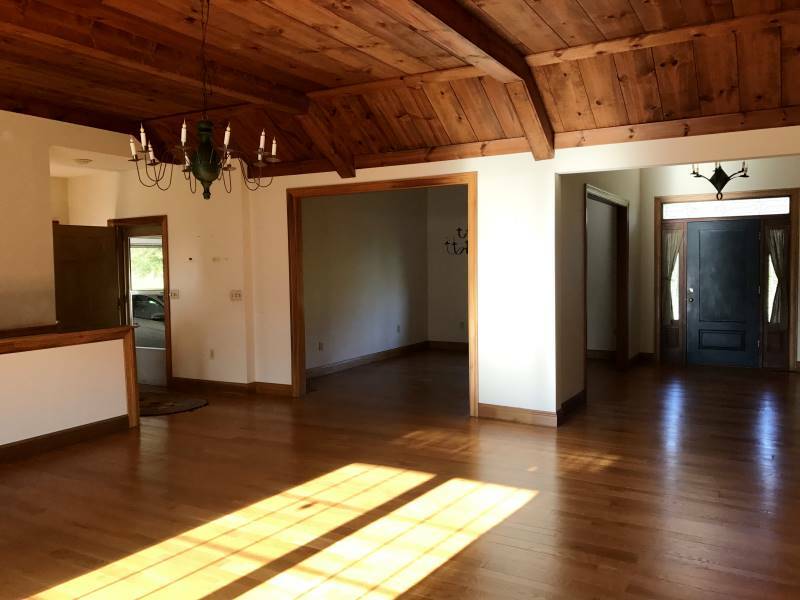 The spacious family room features a vaulted, cedar ceiling and French doors leading out onto the deck. A large formal dining room, living room (which could easily be the 3rd BR), master suite, guest BR and full bath complete the main living level. The partially finished walk out lower level adds an additional 2500 sq. 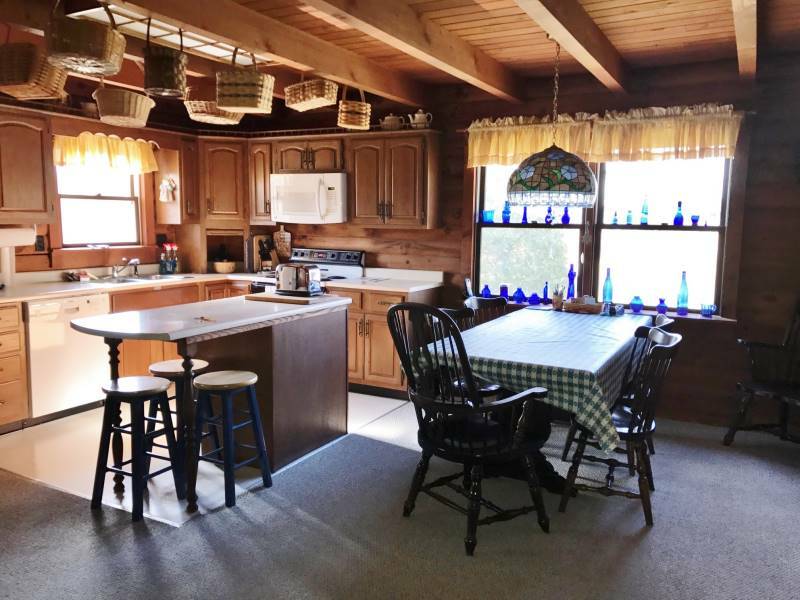 ft. of floor space including a fireplace, full bath, utility room & covered side porch. 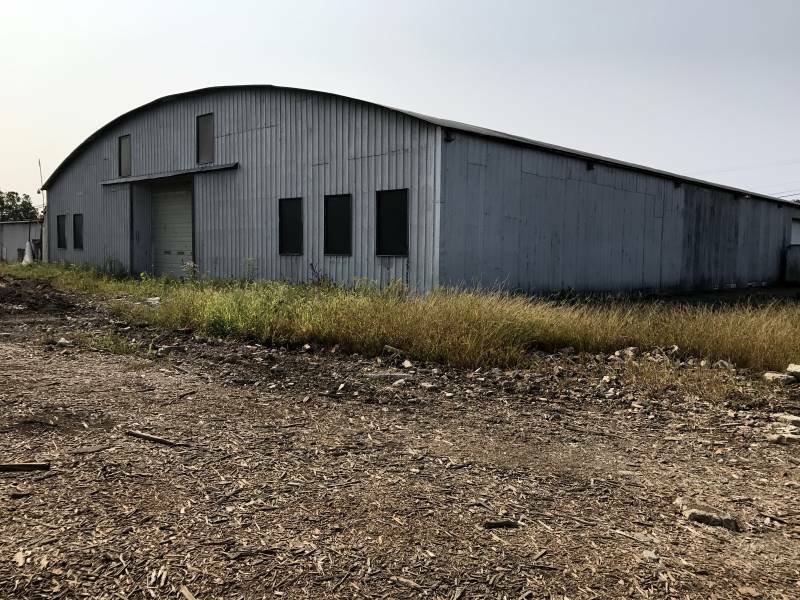 Exterior amenities include a 30’ x 50’ two story building with 3 overhead garage doors and extra large French doors at one end. An original train depot building, moved from Thornville, OH, has been reconstructed on the property. OFFERS ARE WELCOME PRIOR TO AUCTION. RESERVE IS ONLY $250,000.00! TERMS: $5000 DEPOSIT (non-refundable Cashier’s Check) due day of sale & balance due at closing within 30 days. Property sold “AS IS” in all respects with a reserve. Fantastic opportunity! 8.71 acres of commercial property. Includes a large 30,000+ sq. 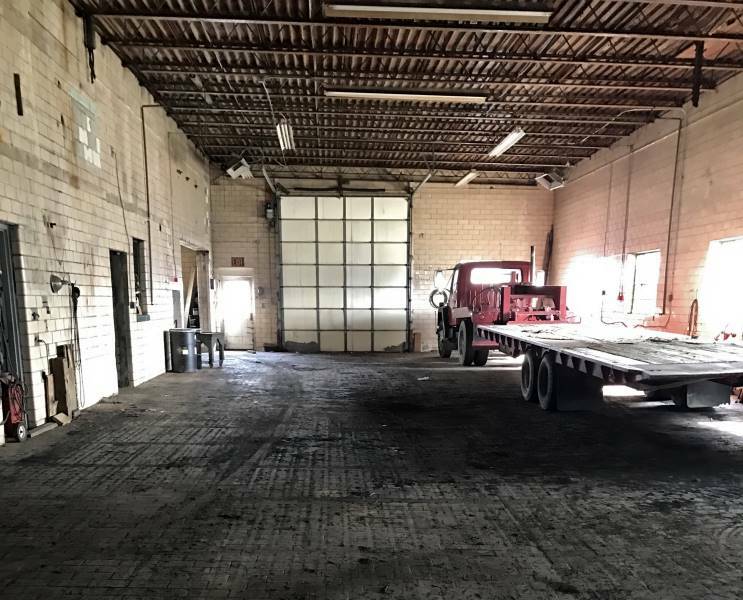 ft. warehouse w/offices (sq. footage is based on tax card information) & other outbuildings. Easily accessible to Rt. 33. Parcel #0545237310. Tax card value is $294,000.00 - Reserve is only $100,000.00. TERMS: $5000 DEPOSIT (non-refundable Cashier’s Check) due day of sale & balance due at closing within 45 days. Property sold “AS IS” in all respects. RESERVE ONLY $15,000.00! 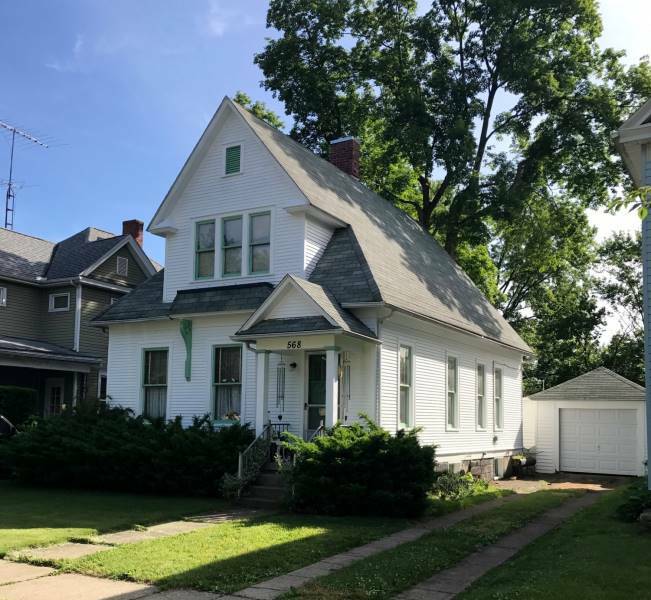 2 BR/1 BA two story home with over 1350 sq. ft. Detached garage. Great re-hab project. TERMS: $1000 Deposit (non-refundable Cashier’s Check) due day of sale & balance due at closing within 30 days. Property sold “AS IS” in all respects. 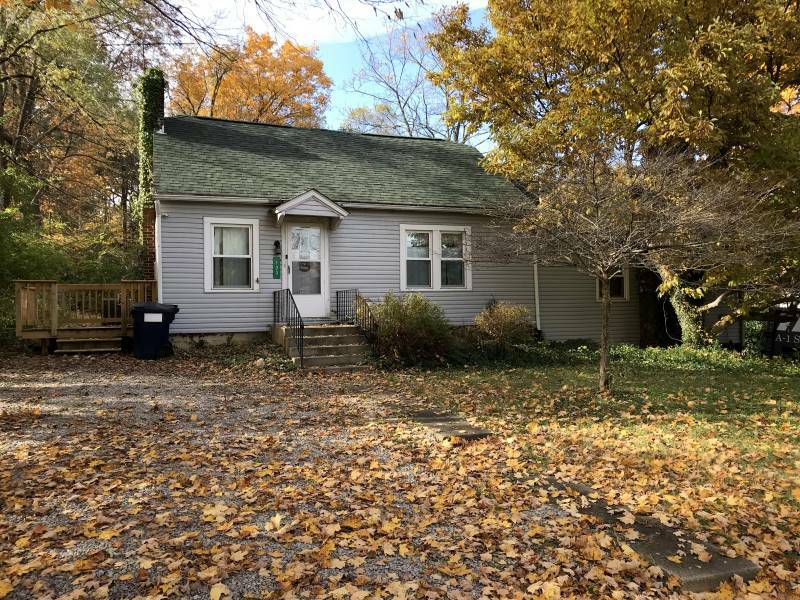 3 BR/1 BA ranch home. RESERVE ONLY $35,000.00! Offering a large living room & eat-in kitchen. Home needs work. Perfect for investors and flippers. TERMS: $2500 Deposit (non-refundable Cashier’s Check) due day of sale & balance due at closing within 30 days. Property sold “AS IS” in all respects. Nice 2 story 4 BR/1.5 BA home with over 1600 sq. 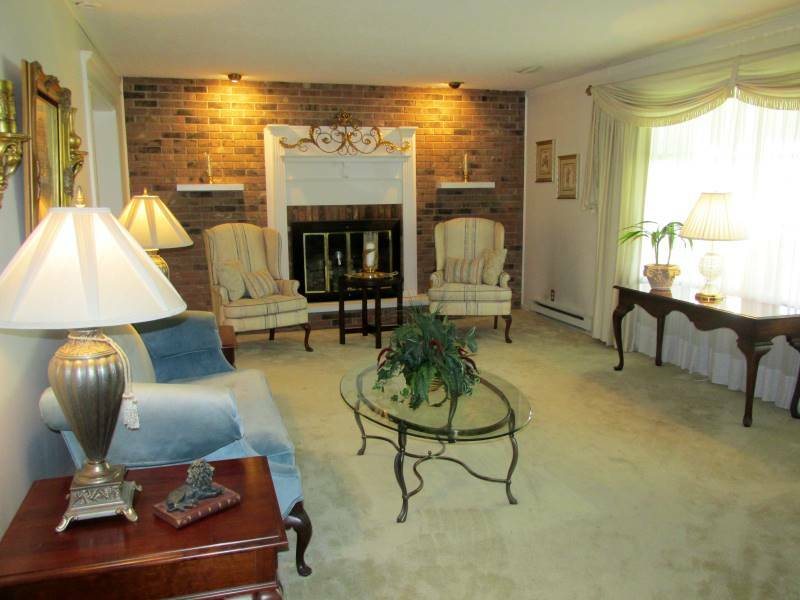 ft. Offering a formal living room, dining room, family room with fireplace that leads onto the deck, lg. back yard, full basement, 2 car attached garage. Situated on a large city lot. Reserve is under tax card value! TERMS: $5000 DEPOSIT (non-refundable Cashier’s Check) due day of sale & balance due at closing within 30 days. Property sold “AS IS” in all respects. 3 BR/1.5 BA ranch home situated on over one acre just outside the village of Amanda. Full unfinished basement, 2 car attached garage & storage shed. Offers are welcome prior to auction. TERMS: $5000 DEPOSIT (non-refundable Cashier’s Check) due day of sale & balance due at closing within 30 days. Property sold “AS IS” in all respects w/a reserve. 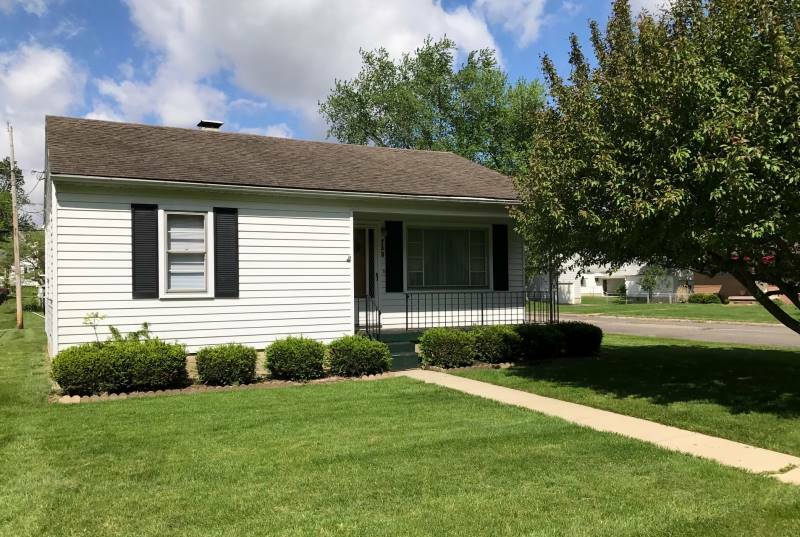 2 BR/1 BA ranch style home with one car detached garage. Great investment opportunity. Reserve is only $19,200.00! Offers are welcome PRIOR TO AUCTION. Nice turn of the last century, 1 ½ story home offering 2 BR/1.5 BA & approx.. 1300 sq. ft. Beautiful, Art Deco style fireplace, oak floors throughout, large flowing rooms, and one car detached garage. Reserve is in the $50’s! Offers are welcome prior to auction. 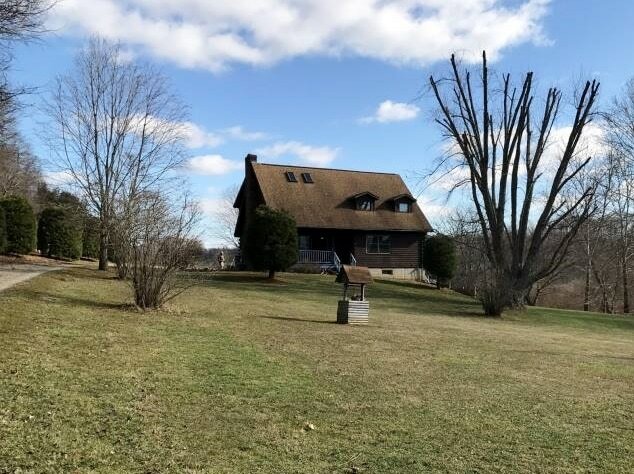 4 BR/2 BA log cabin style 2 story home with over 2300 sq. 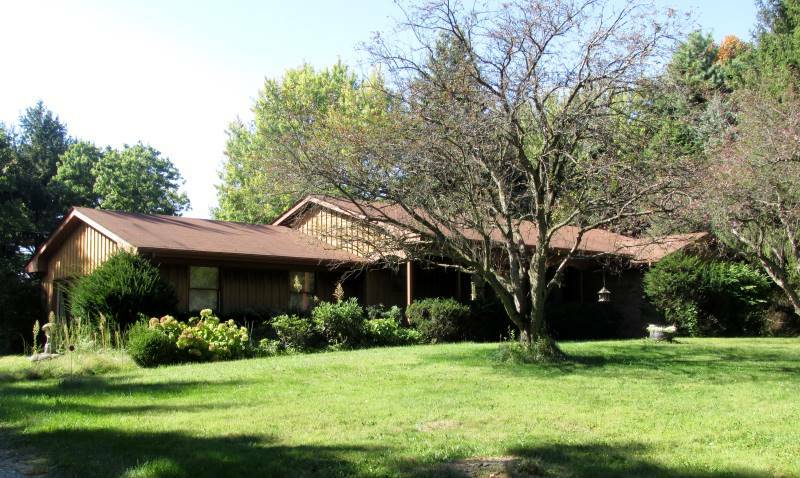 ft. situated on over 12 partially wooded acres with a pond. 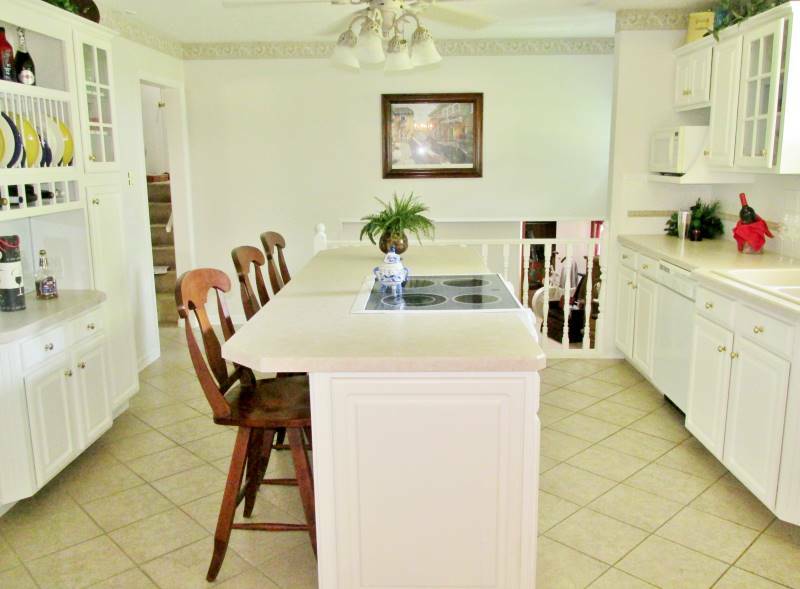 Amenities to include a large eat in kitchen w/center island, 1st floor master BR & laundry. Large family room with brick fireplace and loft. Lg. wrap around porch. Full walk out lower level. 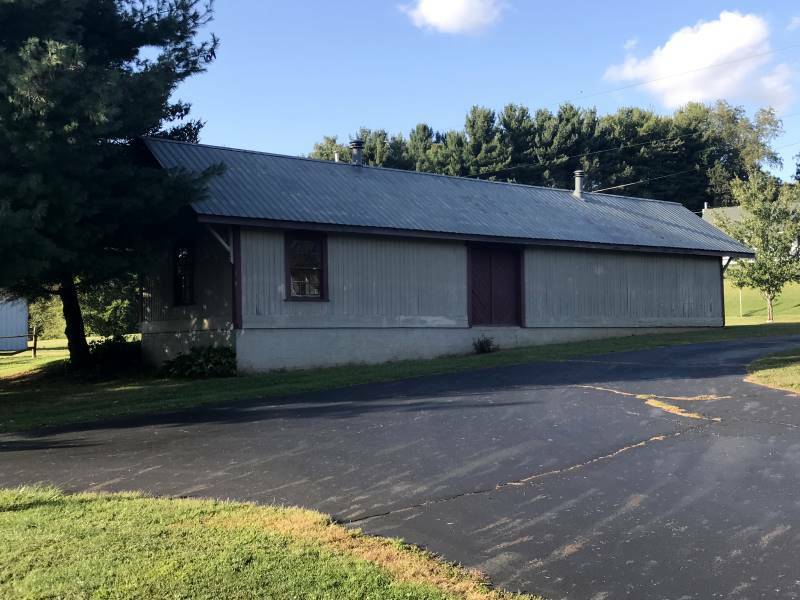 30’ x 50’ pole building/2 car garage with workshop. Convenient to Zanesville & New Lexington. Reserve is $134,900.00. Offers are welcome prior to auction! 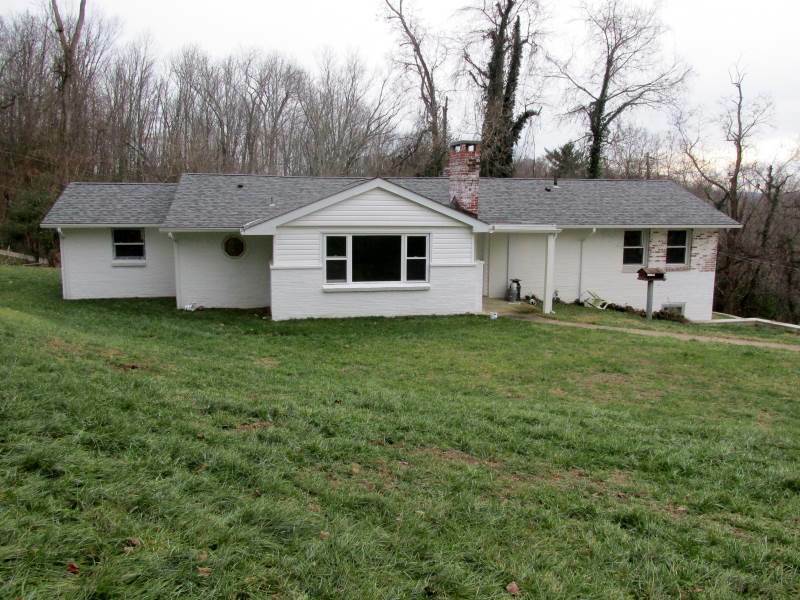 3 BR/1 BA ranch home, located in the village of Baltimore. Wood floors throughout. Newer shingles & furnace. Large yard. 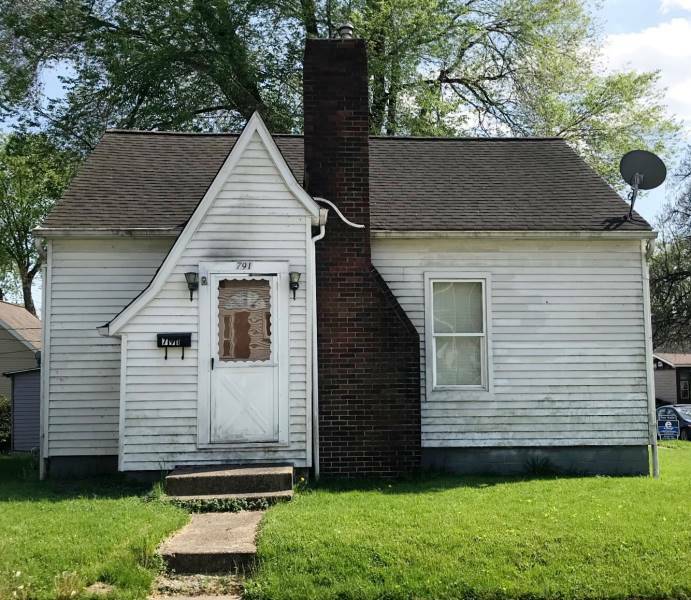 Home needs work but has lots of potential. ​ Reserve is only $25,000.00! Outstanding lake views from this ranch style 4 BR/3 BA waterfront home. The main level consists of 2 bedrooms, 1 bath, living room, kitchen, & family room with fireplace. The lower level consists of 2 bedrooms, 2 baths, kitchenette & rec room. Totals over 2000 sq. ft. Tax card value is over $200K. Reserve is only $159,000.00! Lg. 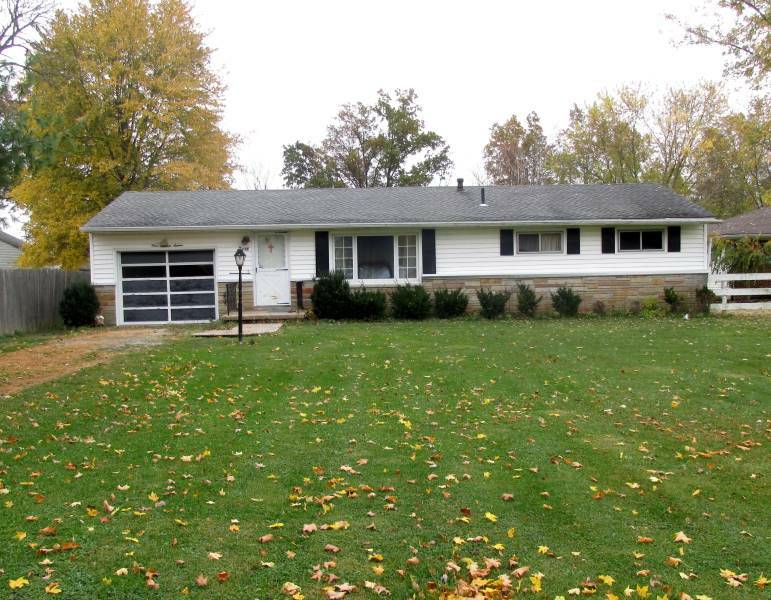 3 BR/2 BA brick & cedar ranch home situated on over 7 acres in Bloom Twp. Home offers over 1900 sq ft of living space incld. partially finished lower level. Formal LR, family room with fireplace, lower level rec room with add’l. fireplace, workshop, laundry room & plenty of storage space. 2 car attached garage. This is a very well cared for one owner home. Beautiful setting! TERMS: $5000 DEPOSIT (non-refundable Cashier’s Check) due day of sale & balance due at closing within 30 days. Property sold “AS IS” with reserve. Approx. 2000 sq. ft of living space. 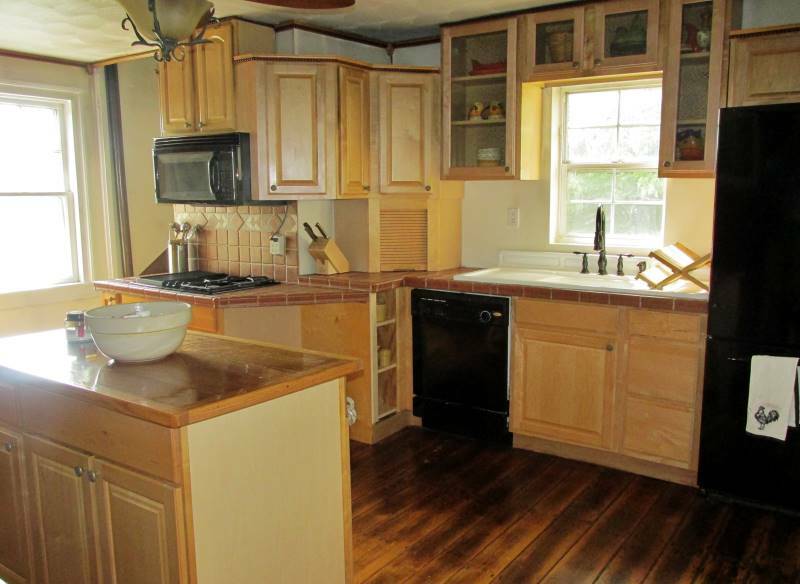 in this 4 BR/3 BA split level home that has been very well cared for. The main level offers a large living room with brick fireplace, formal dining room that leads out to the covered back patio, and beautifully updated kitchen with tiled floors and large center island with seating for 4. The upper level offers 4 bedrooms and 2 full baths. The walk out lower level offers a large family room with fireplace, rec room, full bath, laundry room and plenty of space for storage. Attached 2 car garage. This home is situated on a gorgeous lot measuring just under a half acre. Located in an established neighborhood in the northeast side. 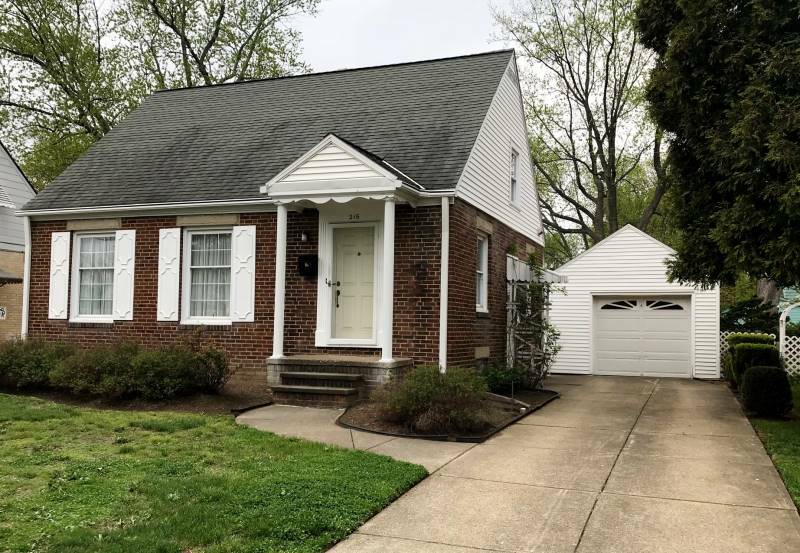 2 BR/1 BA Cape Cod style home located on the east side. Large living room with fireplace, dining room, eat-in kitchen, 2 bedrooms and full bath on the first floor. The unfinished second story could be possible 3rd BR. Full basement with laundry area. 2 car detached garage. Reserve is in the $60’s. Tax Card value is $95,000.00. 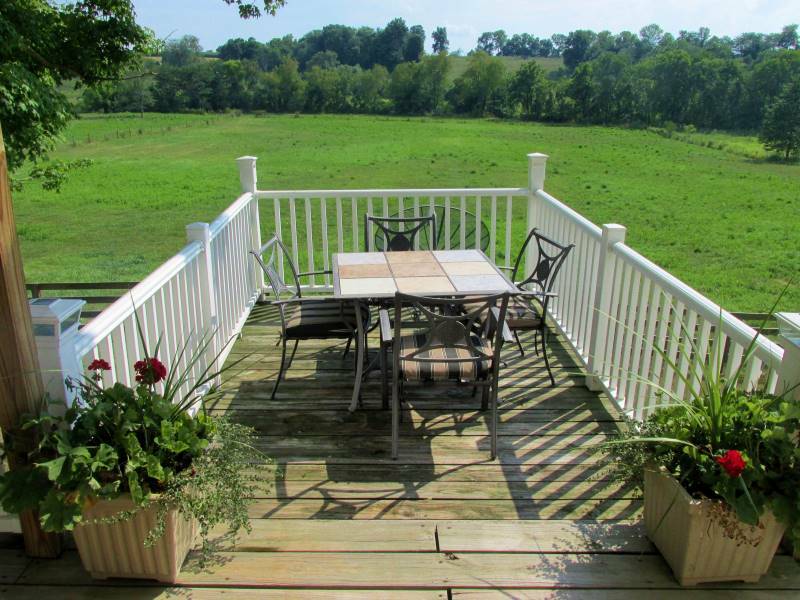 Picturesque 10 acre farm featuring a beautifully restored ca. 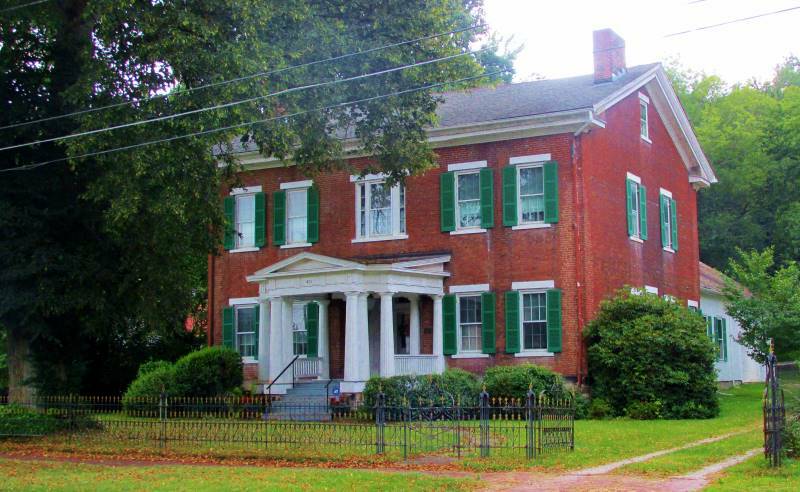 1850 home that has been meticulously restored & updated. 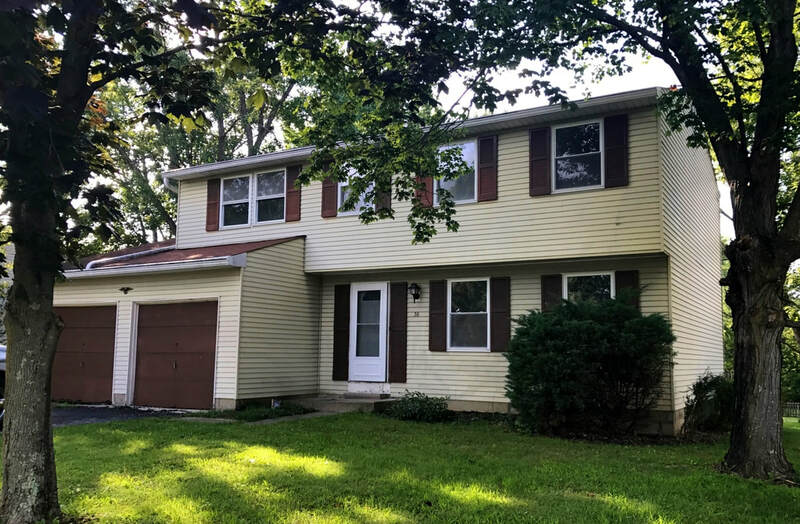 Offering 4 BR/2 BA and over 2000 s.f. This property offers all the charm of yesteryear with the amenities of today. Free natural gas! Multiple working fireplaces. Main level laundry. Covered front and back porches, patio and koi pond. Fenced pasture, barn and modern pole building. Beautiful country setting and only 8 mi. to Zanesville, 11 mi. to the The Wilds, 2 mi. to golf course and less than 5 mi. to I-70. Reserve is under $200,000.00! TERMS: $5000 DEPOSIT (non-refundable Cashier’s Check) due day of sale & balance due at closing within 30 days. Property sold “AS IS” in all respects. Offers welcome prior to auction. 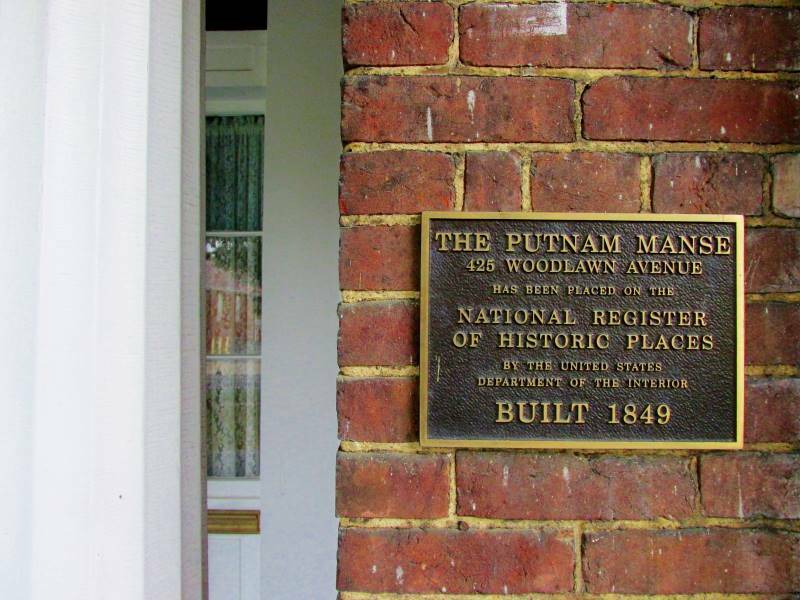 This beautiful, award winning, historical home “The Putnam Manse” was built in 1849. Offering over 5000 sq. 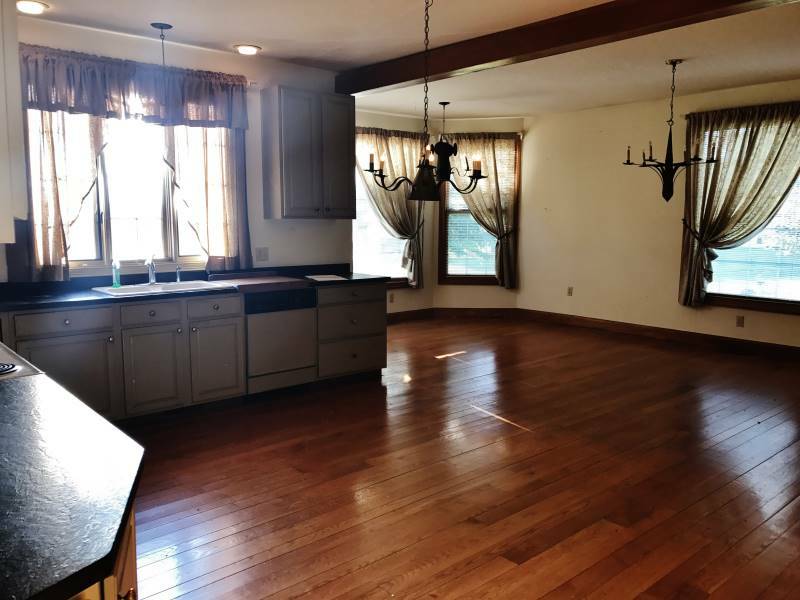 ft. of living space with a spectacular grand foyer, 4 lg. bedrooms, 6 fireplaces, large formal living room, dining room, parlor/sitting room, family room, lg. kitchen and finished third floor with additional bedroom and storage. Wood floors throughout. Laundry room & bath are in the lower level with lots of additional storage rooms. The attached original carriage house is used as the garage. Lg. enclosed back porch & patio. Secluded back yard. 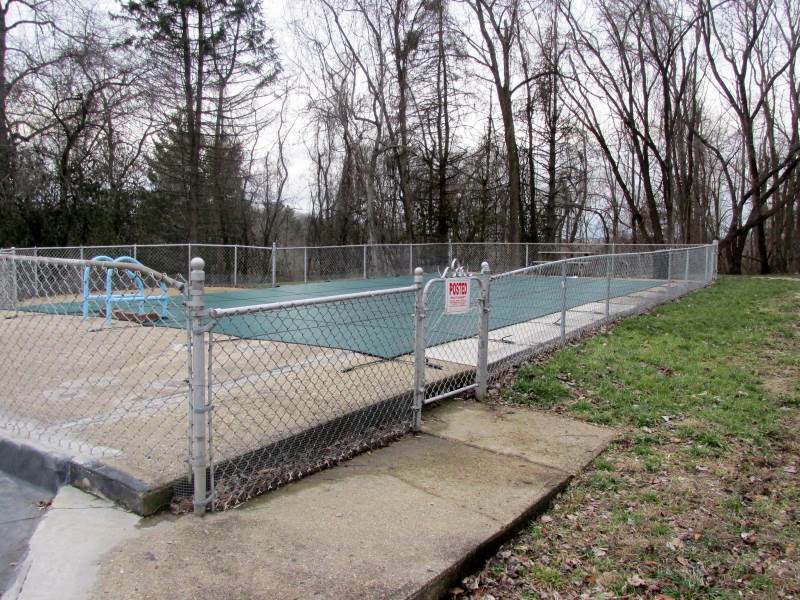 Situated on a one acre wooded city lot. Beautiful wrought iron fence encloses the front yard. The outstanding architecture is a must see! Reserve is in the $130’s! 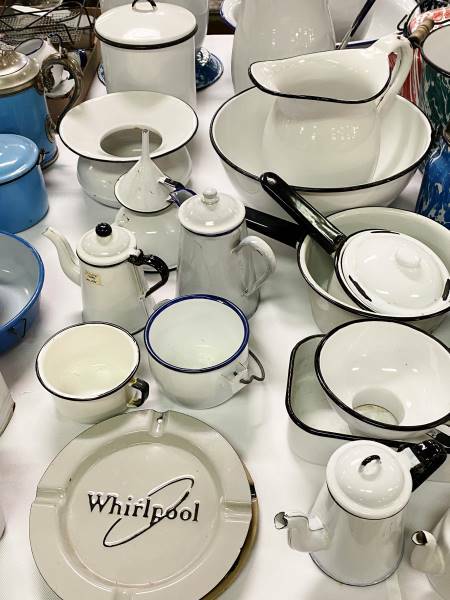 OFFERS WELCOME PRIOR TO AUCTION! TERMS: $5000 Deposit (non-refundable Cashier’s Check) due day of sale & balance due at closing within 30 days. Property sold “AS IS” in all respects with a reserve. Nice, clean, 4 unit apartment building. 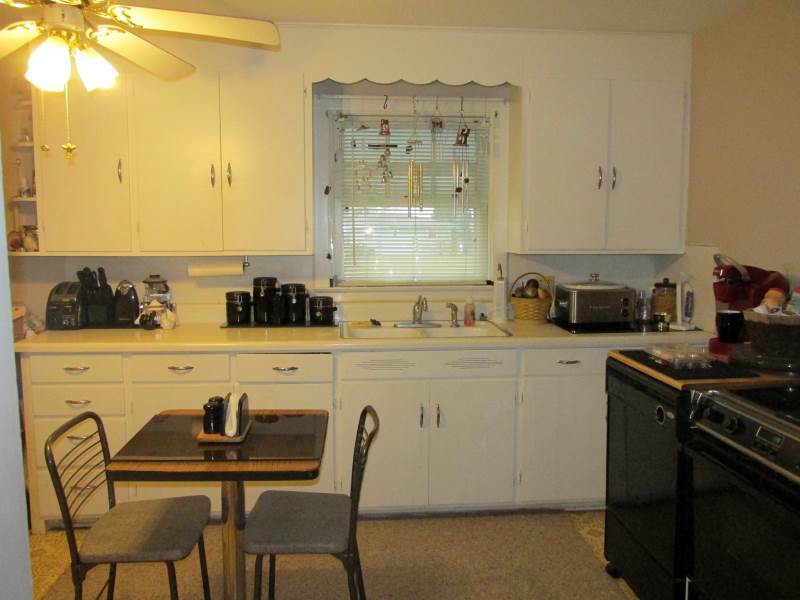 Each offering 2 BR/1 BA & large eat-in kitchen. 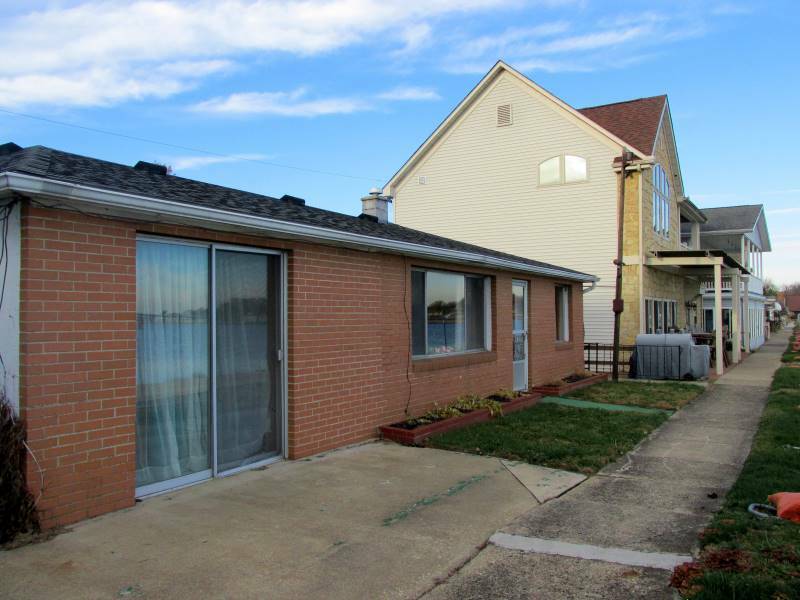 Very clean units with updated flooring & shingles. Reserve is under $100,000.00! Offers are welcome prior to auction. TERMS: $2500 DEPOSIT (non-refundable Cashier’s Check) due day of sale from successful bidder & the balance due at closing within 30 days. Property sold “AS IS” in all respects. 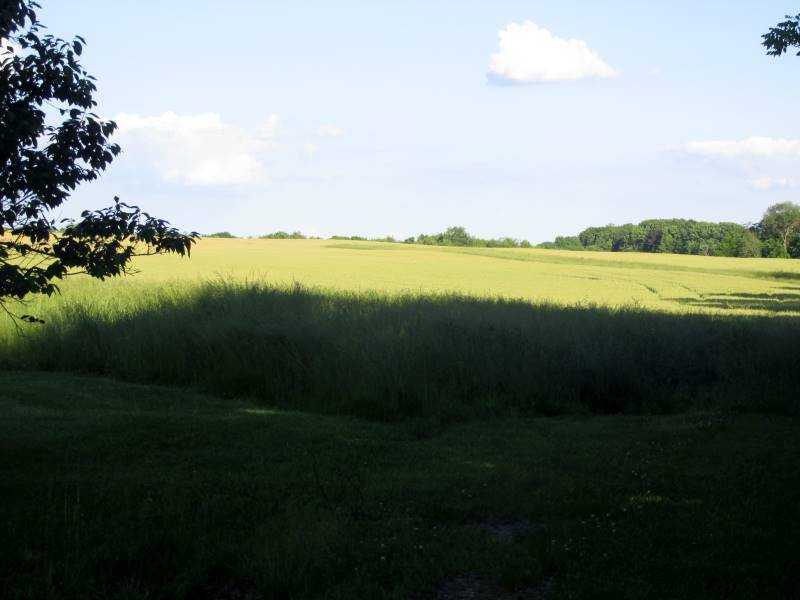 2 parcels totaling 193 ACRES OF PRIME FARM LAND & WOODS. Conveniently located to St. Rts. 22 & 37. Parcel #’s 0310044000 & 0310044800. Approx. 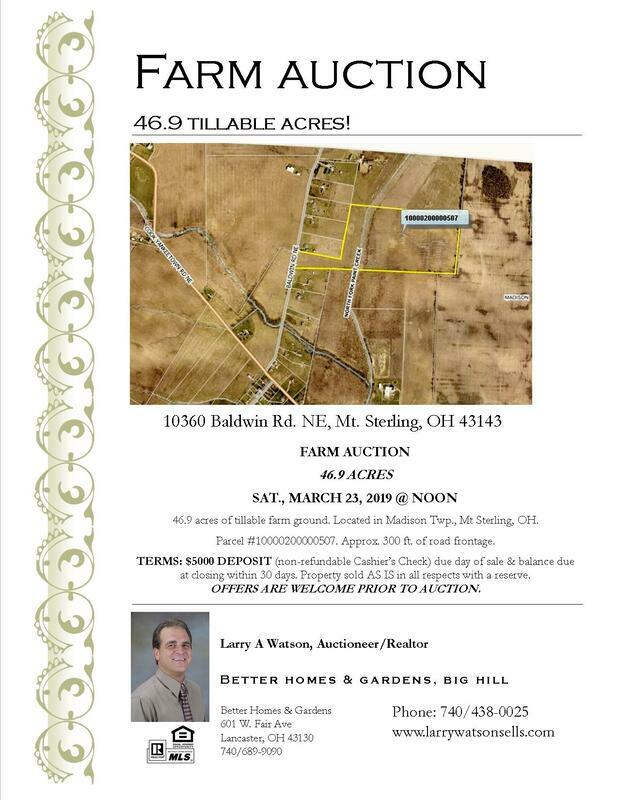 106 tillable acres & 86 wooded acres. Old farm home located on the property. TERMS: $10,000.00 DEPOSIT (non-refundable Cashier’s Check) due day of sale & balance due at closing within 45 days. Property sold “AS IS” in all respects with reserve. 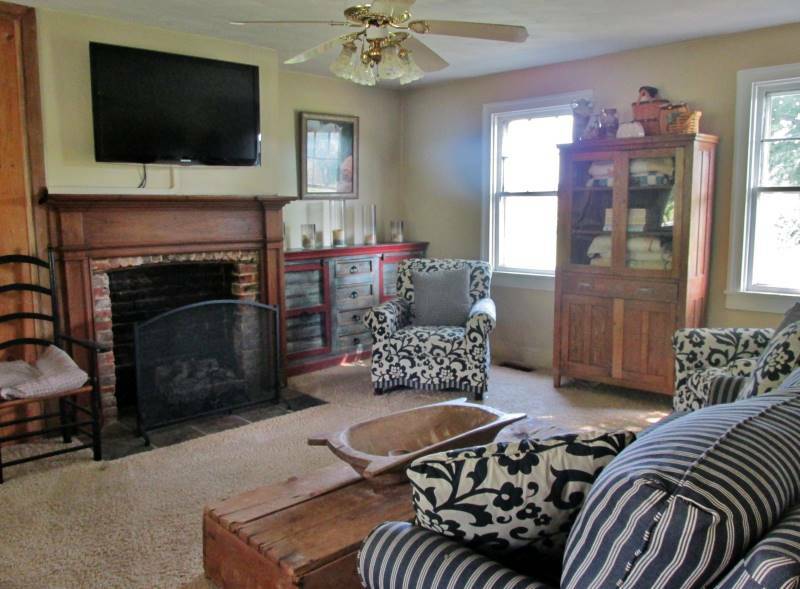 Charming 3 BR/1 BA Cape Cod style home situated on a large lot, just under a half acre. LR, DR, kitchen, full bath & 2 BR’s on first floor. 3rd BR on second floor. Rec room & laundry in walk out lower level. Newer shingles & furnace. Two detached garages (2 car & 1 car). Plenty of storage. Reserve is under $100K! TERMS: $2500 DEPOSIT (non-refundable Cashier’s Check) due day of sale & balance due at closing within 30 days. Property sold “AS IS” in all respects. 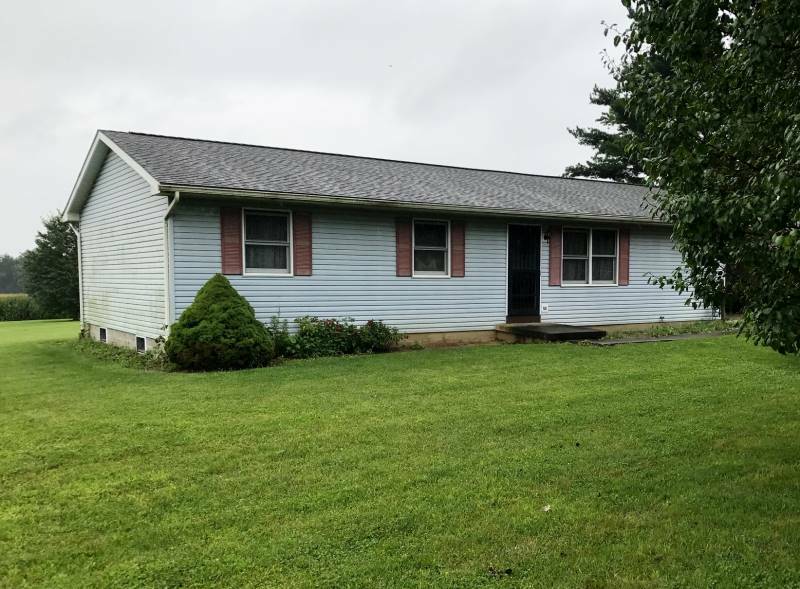 3 BR/3 BA ranch home situated on 2.5 acres just outside the Lancaster City Limits in Greenfield Twp. All brick home with many updates to include furnace, flooring, kitchen, baths, shingles and hot water heater. In ground pool, 1 car detached garage, outdoor fireplace. Reserve is $80,000.00! TERMS: $2500 Deposit (Non-refundable Cashier’s Check) due day of sale & balance due at closing within 30 days. Property sold “AS IS” in all respects with a reserve. 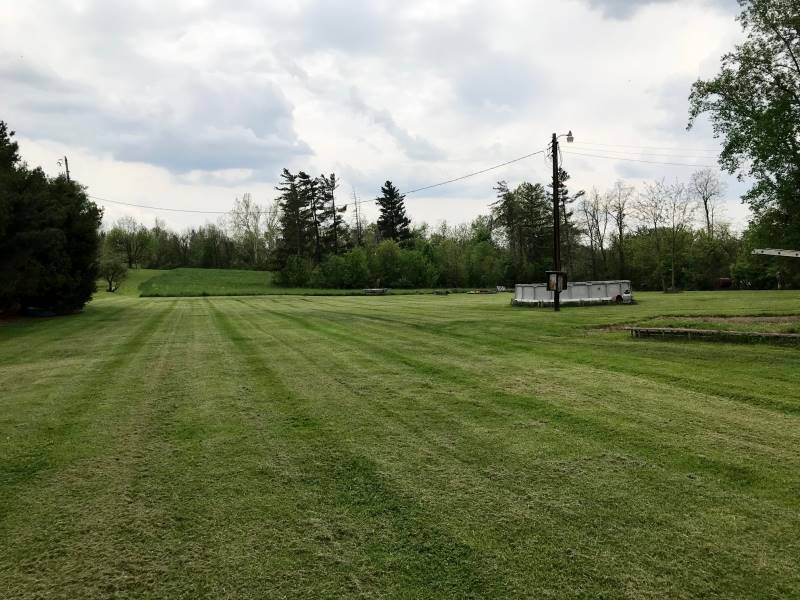 5075 SAND HILL RD., AMANDA, OH. Approx. 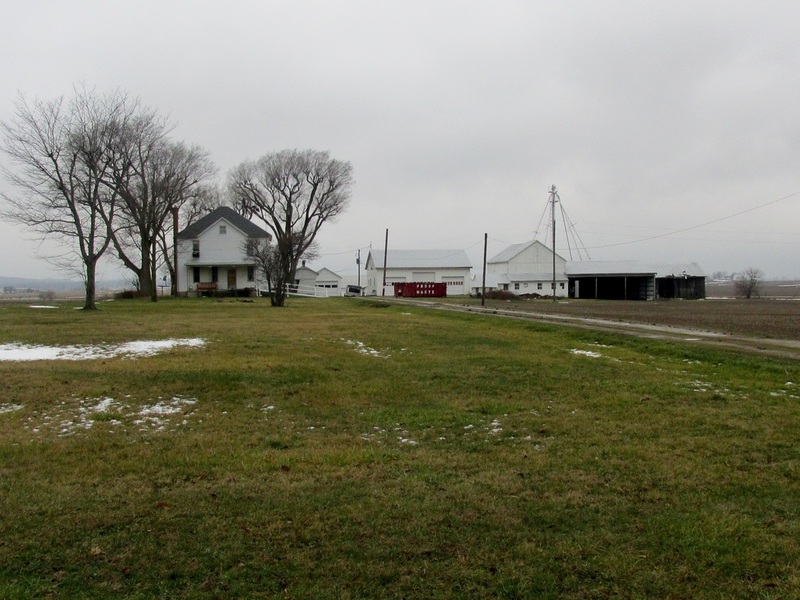 77 acres of farm land situated on the corner of US Hwy 22 and Sand Hill Rd. 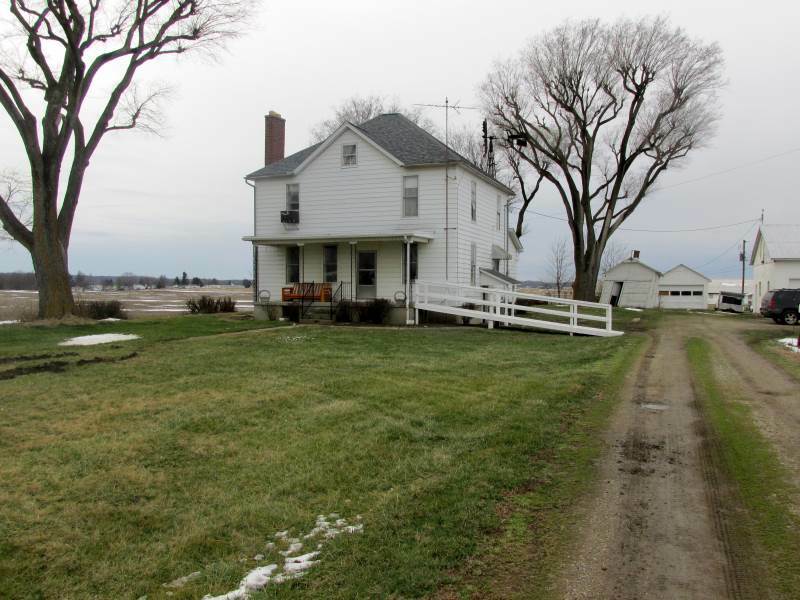 Property includes a 2 story 4 BR/1.5 BA farm house with over 2100 sq. ft. Full basement. 3 car garage. Several barns & outbuildings. Reserve is $300,000.00! TERMS: $10,000 Deposit (Non-refundable Cashier’s Check) due day of sale & balance due at closing within 30 days. Property sold “AS IS” in all respects with a reserve. 4325 SAND HILL RD., AMANDA, OH. 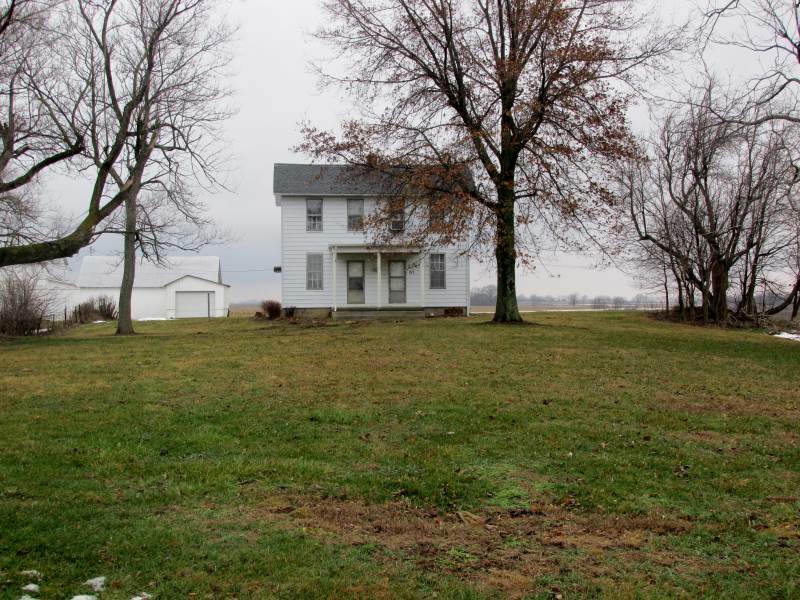 3 BR/1 BA 2 story farm home situated on 8.53 acres. Living room, dining room, lg. kitchen, full basement. 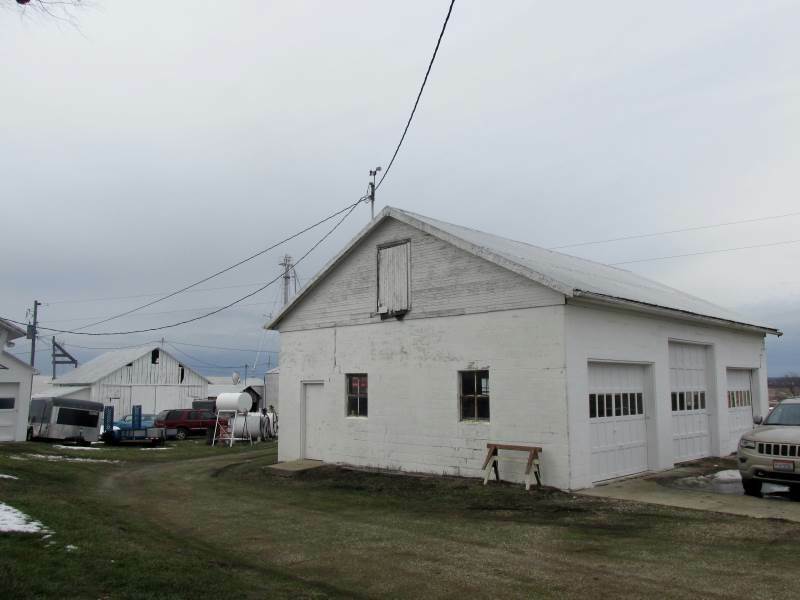 Garage and several outbuildings. 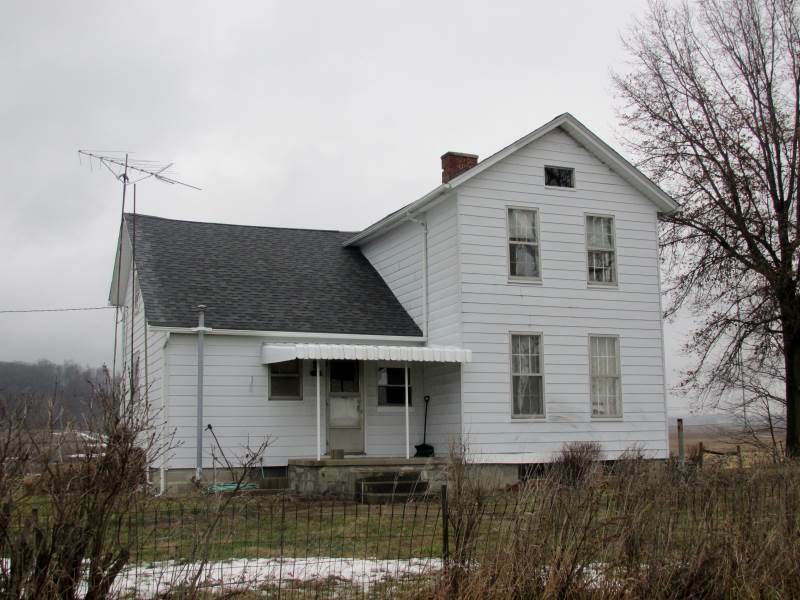 The auction will be held at 5075 Sand Hill Rd., Amanda, OH at 12:00 Noon. 523 SCHOOL ST., AMANDA, OH. 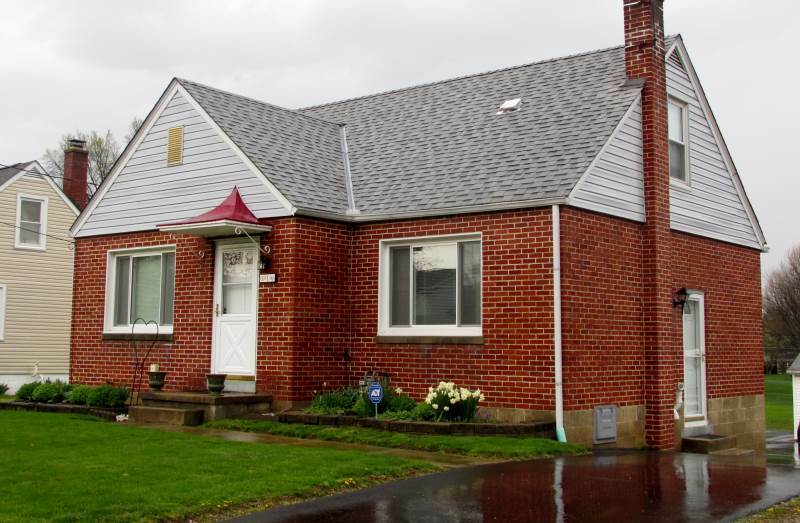 2 BR/1 BA ranch style home offering a large living room, full basement & 1 car attached garage. Updated shingles & lg. back yard. ​ Reserve is $45,000.00! 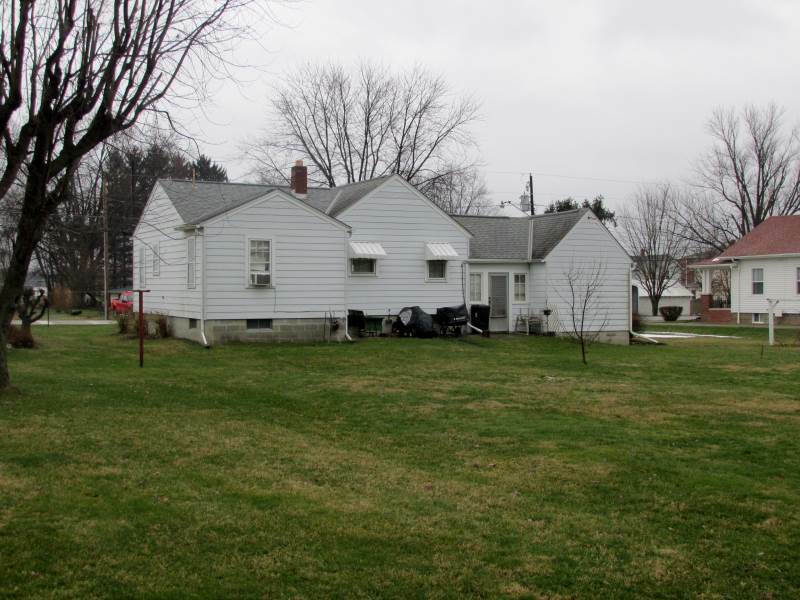 The auction will be held at 5075 Sand Hill Rd., Amanda, OH at 12:00 Noon. Large 4 bedroom, 2 bath, 2 story home with over 1750 sq. ft. Amenities include a large eat in kitchen, formal living and dining rooms, fireplace and hardwood floors. 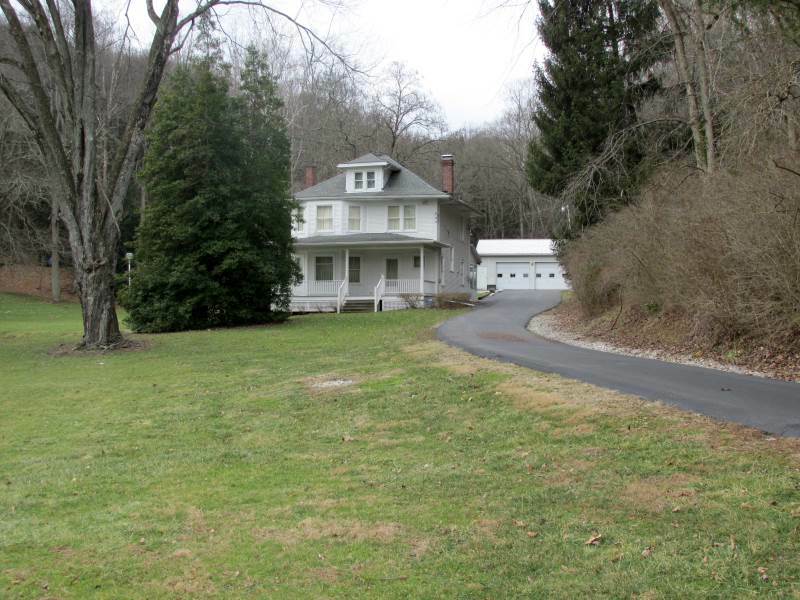 Situated on 24.82 picturesque wooded acres. 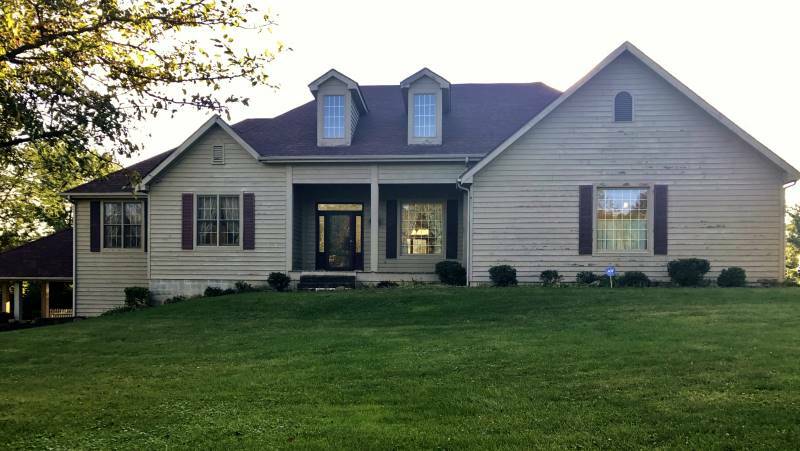 Includes a pond, 3 car detached garage and paved driveway. Reserve is under $150,000.00!